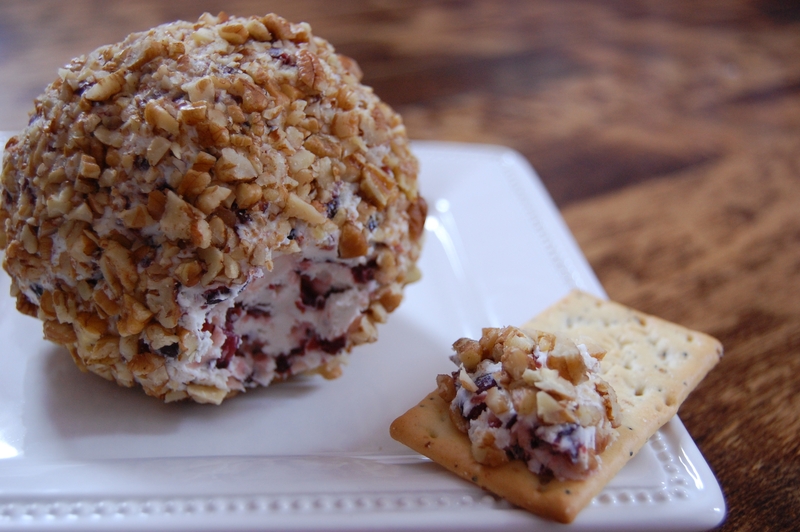 It is the time of the year when holiday parties are in high demand and we are all finding ourselves asking, “what can I bring?” This cheese ball recipe might just be the perfect appetizer. You can whip it up in no time and it is very easy to transport. Best of all, you can make it ahead of time so you are not rushing out the door. Preheat your oven to 325 degrees. Place pecans on a baking sheet and cook about 3-6 minutes or until aromatic. Watch carefully, as they tend to burn once they really start cooking. Take them out of the oven and let cool. In a large bowl, mix softened cream cheese and goat cheese until smooth. Add chopped cranberries and mix until well combined. Take mixture of of the bowl and, with your hands, shape into a large ball. Cover and refrigerate for about an hour. Once pecans are cooled, run your knife through them until they are coarsely chopped. 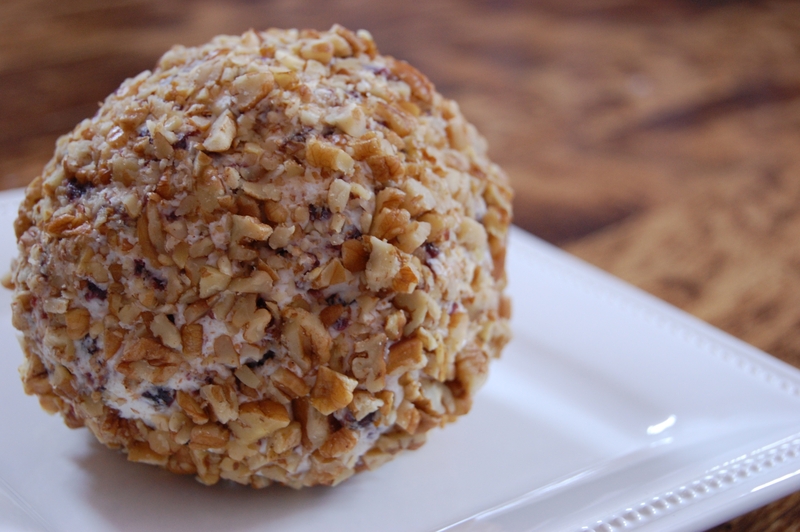 When the cheese ball is done chilling, unwrap it and roll in the chopped pecans, being sure to coat the entire ball. Wrap and refrigerate until you are ready to serve. I served mine with whole grain crackers. The dried cranberries make this recipe slightly sweet. If you are looking for more of a savory flavor, try adding some fresh chopped herbs or a squeeze of lemon juice to offset the sweetness of the cranberries. Don’t like pecans? Try walnuts or pine nuts instead or swap Gorgonzola for the Goat Cheese. Go ahead and get creative with this recipe and let us know what combination you like the best! This look amazing and so easy to make! This looks so yummy and Christmasy! As I’m thinking of last minute hors d’oeuvres for a party I’m hosting on Friday, I may be adding this to the mix! Yum! fast! What host are you using? Can I am getting your associate link in your host? Very descriptive blog, I liked that a lot. Will therre be a part 2?